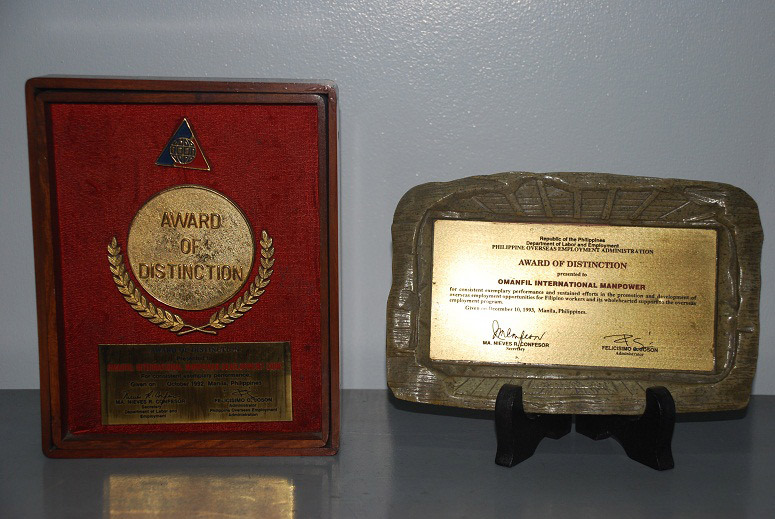 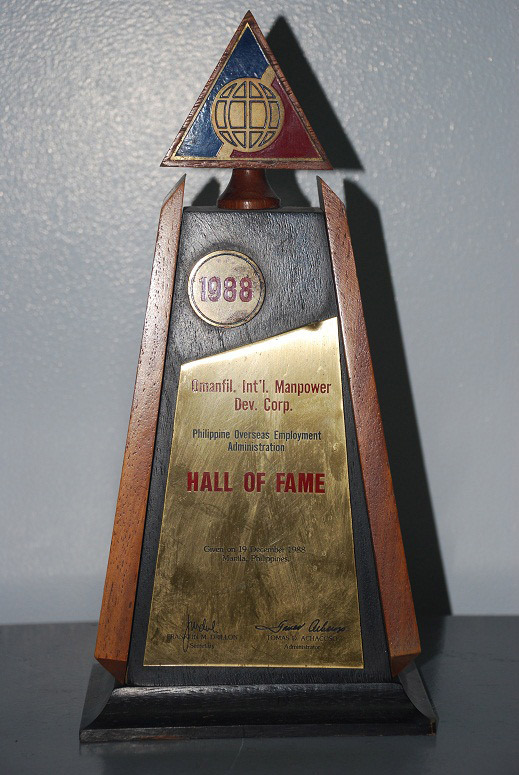 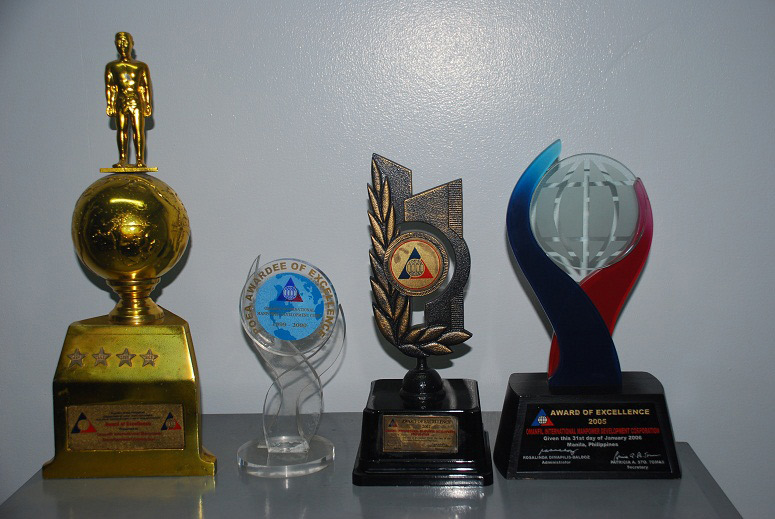 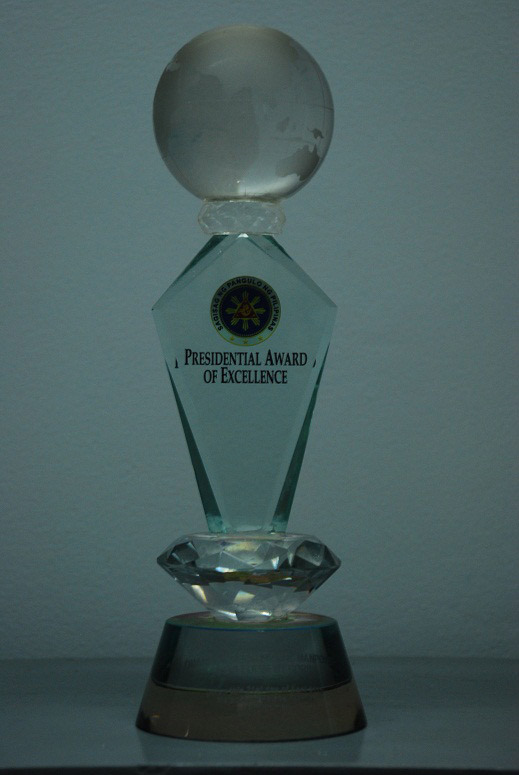 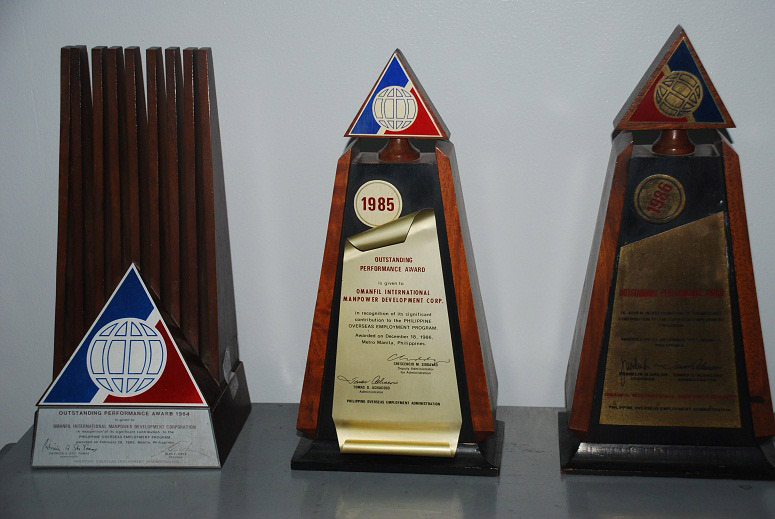 The POEA started giving AWARDS and RECOGNITION to the best performing agencies in 1984. 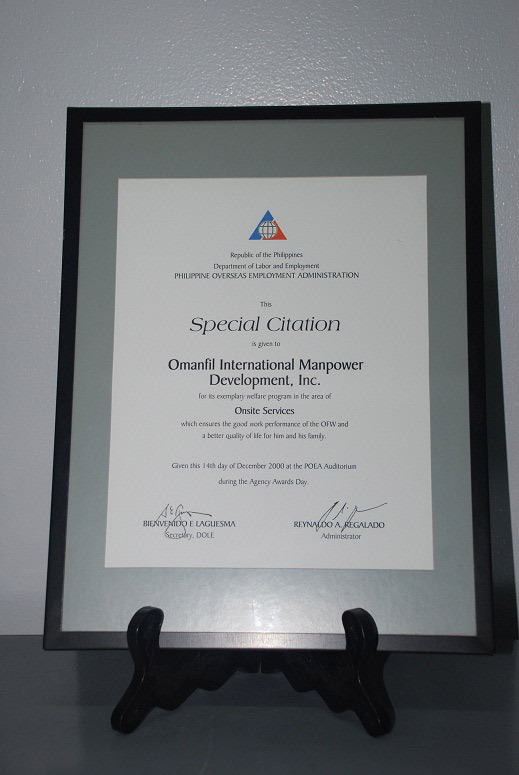 Since 1984, OMANFIL has received all the possible awards and recognition of the POEA. 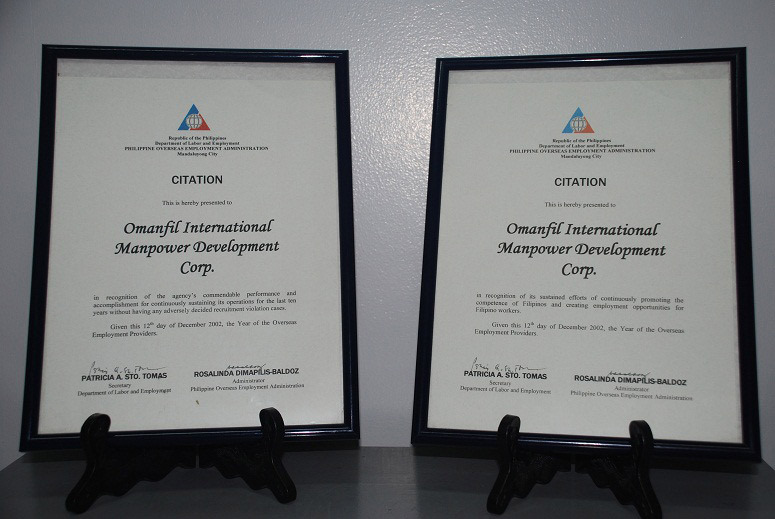 OMANFIL has been given all the possible Top Performer Award, all Awards of Distinction and all Awards of Excellence.